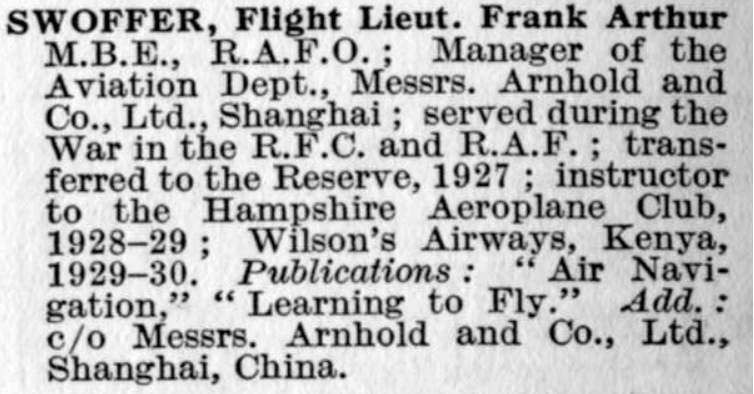 HF: In the spring of 1928 Arnhold & Co, Ltd. decided to start selling aircraft and hired WEF Jones to head the operation. The Arnhold Aviation Department was born on 1 April 1928. IDJ has sent all the following images and information and I would like to show my appreciation for his contribution here. 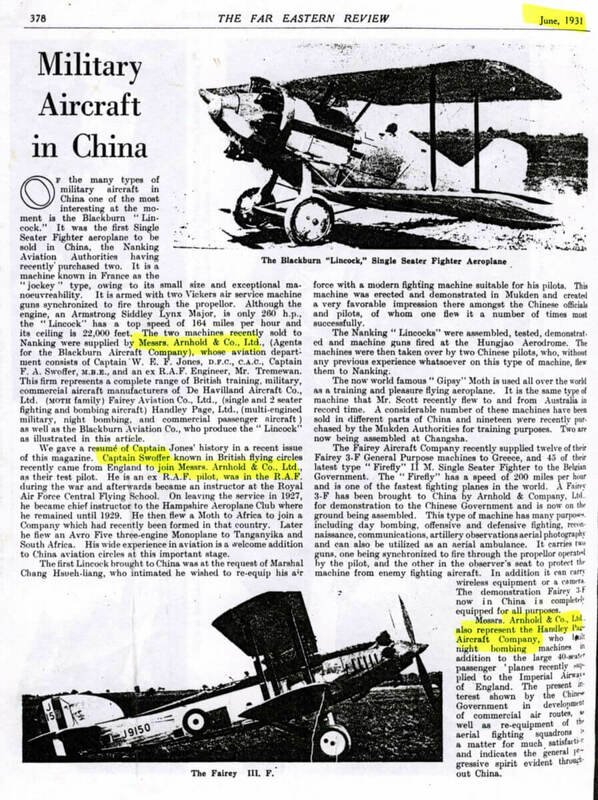 The above extracts and images come from the book, A history of Chinese aviation : encyclopedia of aircraft and aviation in China until 1949. The Far Eastern Review, June 1931. “Work on Guernsey Airport began in 1937 and it opened for business in May 1939. It took over from the landing site at L’Eree. Although it had served the island well, it wasn’t suited to larger aircraft. There had also been accidents, which had led to calls for something more suitable. The new airport at La Valliaze simplified things greatly, and catered for more suitable planes. It wasn’t in use for long before German forces landed there at the start of the Occupation, but for that brief period, it was under the authority of a man who knew more than his fair share about aircraft and flying. Flight Lieutenant FA Swoffer, formerly of the RAF, had written the book Learning to Fly. He was appointed to the new role at Guernsey Airport at the start of March. He’d been working at the Empire air base at Southampton Water at the time, and was said by the Gloucestershire Echo to be “looking forward to his new job in Guernsey”. Yet it’s only thanks to the sharp eyes of a nurse, several years before that he was in any state to take it up at all. Swoffer had crashed his plane in 1916, and very nearly been killed. He’d got into a spin, fallen 60m and crashed into the ground at high speed. Assumed to have expired, he was taken to a mortuary to be prepared for burial. Fortunately, a nurse spotted that he was, in fact, still alive. He was nursed back to good health, and was soon back in the air. The airport was officially opened on 5 May 1939 by Sir Kingsley Wood, the air minister and, technically, Swoffer’s ultimate boss. 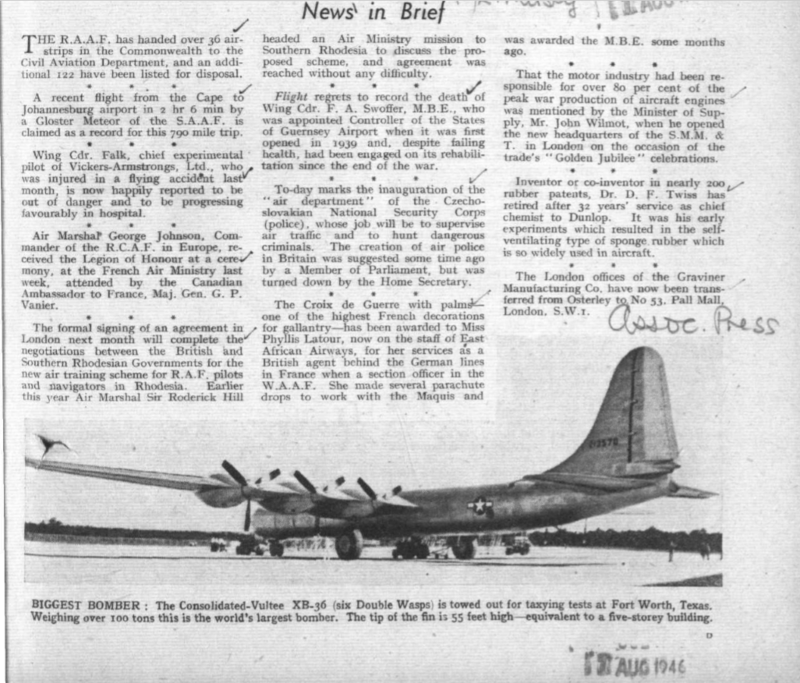 It had four grass runways, the longest of which was just over 900m, and initially hosted Guernsey Airways and Jersey Airways flights to London, Southampton and Shoreham. This article was first posted on 30th August 2018 and reposted on 16th September 2018.